Before there was "tourism" and souvenir ashtrays became "kitsch," the Lake of the Ozarks was a Shangri-La for middle-class Midwestern families on vacation, complete with man-made beaches, Hillbilly Mini Golf, and feathered rubber tomahawks. What may have seemed just a summer job became, upon reflection, a transformative era where a cast of eccentric, small-town characters and experiences shaped (some might suggest "slightly twisted") Bill into the man he is today. He realized it was this time in his life that had a direct influence on his sensibilities, his humor, his writing, and ultimately a career searching the world for other such untamed creatures for the Chicago Tribune, the New York Times, and CBS News. 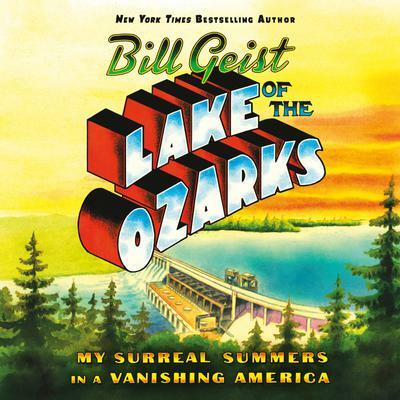 In LAKE OF THE OZARKS, Emmy Award-winning CBS Sunday Morning Correspondent Bill Geist reflects on his coming of age in the American Heartland and traces his evolution as a man and a writer. He shares laugh-out-loud anecdotes and tongue-in-cheek observations guaranteed to evoke a strong sense of nostalgia for "the good ol' days." Written with Geistian wit and warmth, LAKE OF THE OZARKS takes readers back to a bygone era, and demonstrates how you can find inspiration in the most unexpected places.